To Survive on This Shore. Photographs and Interviews with Transgender and Gender Nonconforming Older Adults. Photographs and text by Jess T. Dugan. Text by Karen Irvine and Vanessa Fabbre. Kehrer Verlag, Heidelberg, Germany, 2018. In English. 164 pp., color illustrations, 9¾x12x¾". Representations of older transgender people are nearly absent from our culture and those that do exist are often one-dimensional. For over five years, photographer Jess T. Dugan and social worker Vanessa Fabbre traveled throughout the United States creating To Survive on this Shore: Photographs and Interviews with Transgender and Gender Non-Conforming Older Adults. Seeking subjects whose lived experiences exist within the complex intersections of gender identity, age, race, ethnicity, sexuality, socioeconomic class, and geographic location, they traveled from coast to coast, to big cities and small towns, documenting the life stories of this important but largely underrepresented group of older adults. The featured individuals have a wide variety of life narratives spanning the last ninety years, offering an important historical record of transgender experience and activism in the United States. 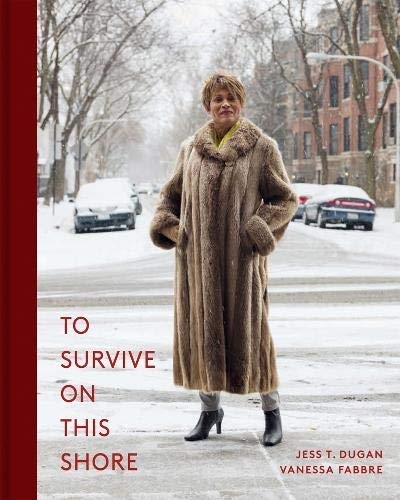 The resulting monograph provides a nuanced view into the struggles and joys of growing older as a transgender person and offers a poignant reflection on what it means to live authentically despite seemingly insurmountable odds.